Serena and Ronda won AND lost big. 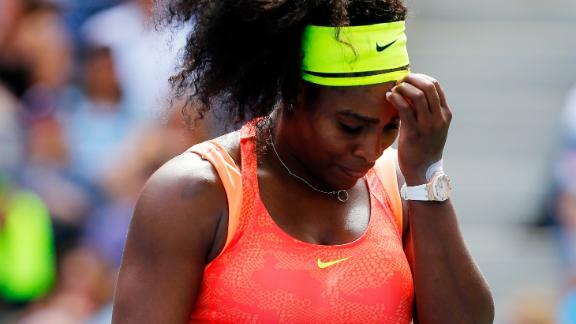 Serena won match after match after match, scooped up countless awards and accolades, but lost big at the U.S. Open which stopped her from claiming the elusive Grand Slam. 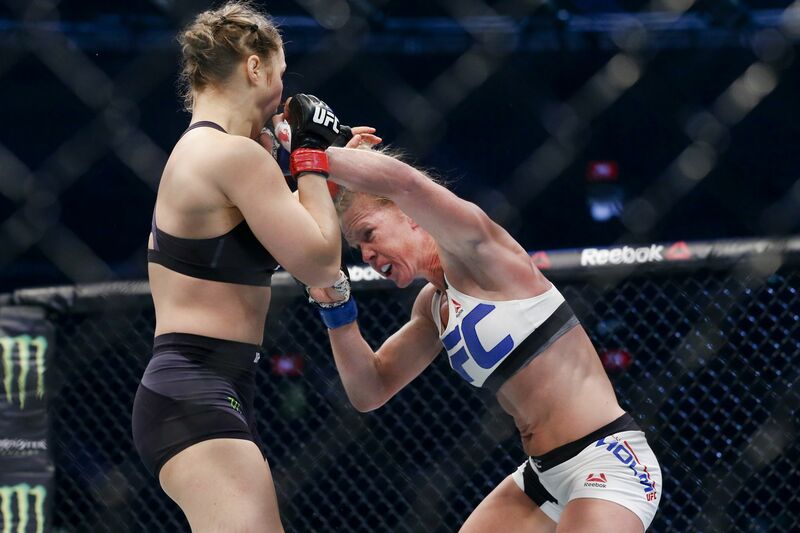 Rousey continued her reign of undefeated terror in MMA until, well, she didn’t. 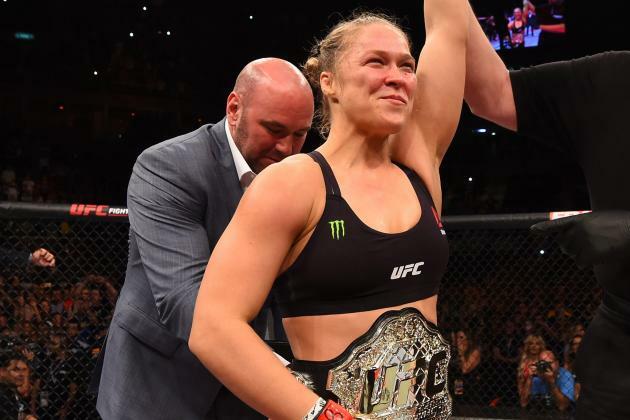 She graced covers and gave stellar interviews, but shocked the world when she lost to Holly Holm. 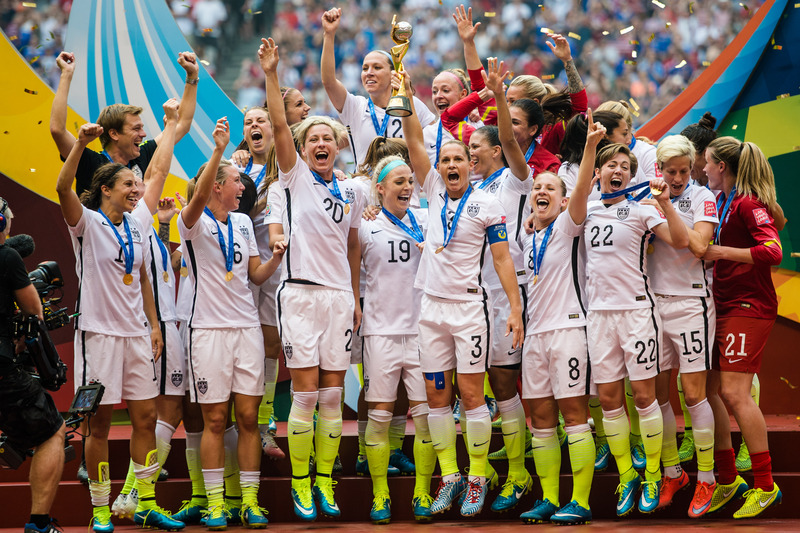 The US Women’s National Team brought home the World Cup and Abby called it quits. After raising hell about the deplorable turf conditions, the US women stormed the fields in Canada and claimed the ultimate prize in soccer. 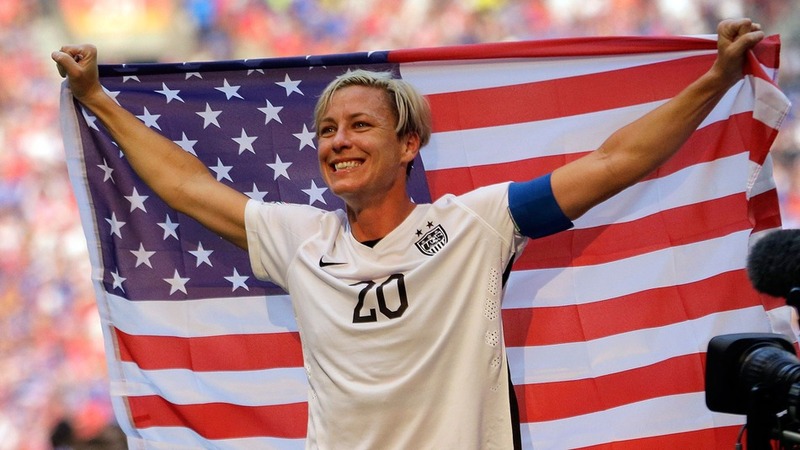 And after dominating the sport for decades, Abby Wambach, the face of greatness, pride, tenacity and the fight for equality, retired her cleats. The NFL got a new coach and referee. Jen Welter made history by becoming the first female to coach for an NFL team. She helped the Cardinals get ready for the regular season and earned the respect of fellow coaches and the players. 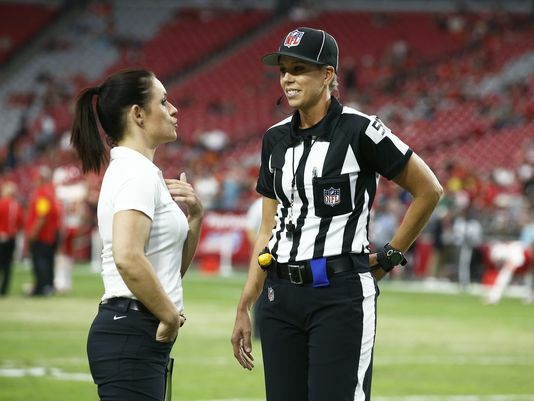 Meanwhile Sarah Thomas took to the sidelines and became the first female referee in the League. She made her debut as a line judge and has been making women and football fans proud ever since. UConn won it all, again. 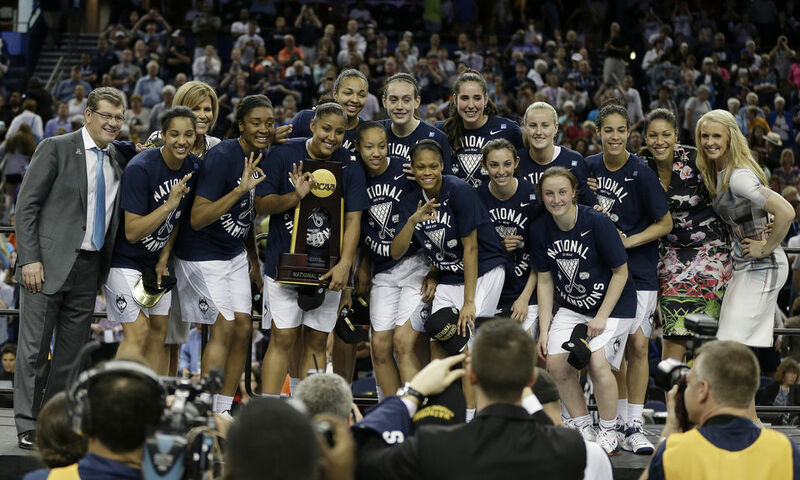 The Lady Huskies and Geno Auriemma continued to display their sheer dominance by claiming their 3rd straight (10th overall) NCAA Division I championship title. Since the win the Huskies have been undefeated in their quest for four straight. Obviously there is so much, much more that happened in women’s sports this year. The events above are but a mere sliver of the highlights. Lydia Ko, Simone Biles, Katie Ledecky, Simone Manuel and so many others brought triumph to our screens this year and elevated women’s sports to great heights. Their efforts transcended gender and national territories and have placed them in sports history forever. Beyond the athleticism, women in 2015 pushed the boundaries in the courtroom, calling for stricter domestic violence policies and awareness; in boardrooms as they called for equality in prize money; and on stages as they redefined what it means to be an athlete. As I look back fondly on all that women have accomplished over the last twelve months I am filled with hope that 2016 will be an even more groundbreaking and compelling year for women in sports. I look forward to watching glass ceilings shattered, records broken and new territory crossed. As for GladiatHers.com, I plan on making sure that the blog is there every step of the way. Stay tuned for 2016 as GladiatHers.com brings you new features, new authors and new content in the quest to celebrate and promote women in sport. Thanks for reading in 2015 and I can’t wait to wow you in 2016. Happy New Year! !